The rise of the internet and the information age is directly responsible for the luxury villa rental market as it exists today. Without high-speed internet connections, impressive websites, and the ability to get information at the click of a mouse, luxury world travelers would never be able to search out and find the luxury villa rental of their dreams in their desired vacation destination. In the past, the villa rental process was cumbersome: usually, your first trip to a locale such as Miami Beach, St. Tropez, or Marbella involved staying in a hotel and investing a day out of your vacation schedule to be shuttled around town by a rental agent in hopes of finding a luxury villa to rent for your next vacation. Now, however, luxury villa rental agencies provide a wealth of crisp photos, specifications, and details for their entire roster of luxury villas, allowing prospective renters to find the luxury villa of their dreams. Together with online booking features, luxury villa rental websites make it easier than ever to find a luxury villa in the destination of your choice. When you peruse the typical luxury villa rental website, you’re bound to be wooed by a litany of enchanting photos of a picturesque villa set against the backdrop of a pristine, private beach, azure sea, and balmy, breezy skyline. You’ll see shots of fabulously decorated living, dining, and bedrooms, gourmet kitchens, sunny terraces, and vanishing-edge swimming pools. Together with the size and amenities of the villa, you’ll be convinced that, upon arrival, your luxury villa rental will look exactly as it is represented on the website. The fact is, the vast majority of luxury villa rental agencies spend the majority of their efforts gathering up vast lists of villa rentals from all over the world. Typically, their approach is “quantity over quality,” opting to give prospective luxury villa renters a vast list of rental options rather than quality that customers can count on. Quite often, arriving at a luxury villa rental result is great disappointment. The photos on the website may have shown a sunny terrace with a beautiful swimming pool. Upon arrival, however, you’ll see what the camera failed to show: the stucco on the back side of the villa is crumbling off of the house, and the swimming pool is badly in need of a cleaning. Inside, photos of the living rooms and bedrooms had boasted flat screen TVs and deluxe entertainment centers. When you arrive, however, the master bedroom TV is broken, or even worse — the satellite is misaligned, and the only channels you can get in are from the Albanian state-run television service. Luxury villa rental linens, however, tend to be the biggest letdown. Photos on luxury villa websites tend to show what look like clean, well-decorated bedrooms and bathrooms. The reality, however, is that the sheets, towels, and linens haven’t been replaced in years, and have seen a lot of work. Dingy, stained sheets, threadbare towels in the bathroom, and worn out linens and housewares are quite typical in even the most promising luxury villa rentals. What’s more, don’t expect the typical online luxury villa rental company to have the power – or the inclination – to do anything about these completely unacceptable conditions once you arrived. The fact remains that luxury villa rental agencies simply list properties; they rarely visit and inspect them first-hand. Furthermore, they rarely have any office or base of operations in the vacation destinations where they offer luxury villa rentals. So, aside from making a nasty phone call, these agencies will do little else to fix the problems that you encounter with your luxury villa rental. Given this reality, how can you ever trust online luxury villa rental agencies? There are two characteristics to look for that can assure you that you’re working with a company that is giving you a fair representation of the luxury villas it offers for rent. First off, look for an agency that hand-selects its luxury villas. You’ll be hard-pressed to find luxury villa rental agencies that claim this, and few others who can back up the claim. Chances are, however, that if the agency has a gigantic selection of villas from all over the world, they haven’t personally seen 99% of them. Only agencies that feature very limited, exclusive luxury villa rentals in a handful of the most exclusive vacation destinations can truly be trusted. 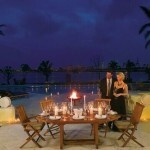 Second, see if the agency offers any kind of money-back guarantee on te quality of their luxury villa rentals. If the agency has seen and inspected the villa first-hand, then they won’t be afraid to vouch for its quality. We wary of any agency that isn’t willing to put its money where its mouth is for its luxury villa rental offerings. Additionally, luxury villa rental agencies that offer in-house concierge or hotel-style services along with their villa rentals are more trustworthy, given the fact that they must have some kind of branch office in the locations where they rent properties. One must be careful, however, since many so-called “concierge services” are often outsourced to a local company that would have no expertise in selecting and approving high quality luxury villas for rental purposes. In short, as a prospective renter, you need to trust the expertise of the agency you use. Does the agency boast of its experience in luxury world travel? Is it run by people who seem to know what luxury travel is all about? In the online luxury villa rental industry, agencies are only as good as the people who run them, and whether they have taken the time and expense to back up their listings with a quality guarantee. Otherwise, you’re risking a rude awakening when you arrive at your luxury villa rental for the first time. quality guarantee. Otherwise, you’re risking a rude awakening when you arrive at your luxury villa rental for the first time. Searching for a luxury villa with concierge services? What you see isn’t always what you get. If you’re fortunate enough to be a luxury world traveller, then you know that the addition of concierge services to luxury villa rentals is becoming more and more of a selling point for villa rental agencies. As luxury hotels become increasingly more “corporate,” villa rental companies are looking to capitalize in the decline of personalized hotel services by promising professional, hands-on concierge services for the duration of your stay in a private luxury villa. When you think of “concierge services,” most likely you have visions of attentive, polite professionals who arrive to your room at your beck and call to fulfil any last-minute need or impulsive whim that strikes your fancy. Or, perhaps you imagine an exquisite spread of fine wines, champagne, Iranian caviar, and fresh fruit waiting for you as you return to your room. Maybe even dedicated turndown services, chauffeurs, butlers, chefs, and other service personnel come to mind when you imagine your next luxury villa stay that is supposed to include true concierge services. Unfortunately, what you imagine and what you get are two completely different things. The vast majority of concierge services you’ll encounter when renting a luxury villa fall way short of the mark compared to 5-star hotels. Instead of a well-dressed, polite, professional on-site concierge, you’re more likely to get an unshaven “gopher” named Gaston who arrives at your villa 40 minutes after you’ve called him, sweating profusely from the hot mid-day sun in St. Tropez and the fact that he has three or four other “concierge calls” to take care of all over town. And you can forget the fantasy of arriving home to your luxury villa with an exquisite buffet or attentive butler waiting to serve you. Upstairs, the beds won’t be turned down, the bathroom will not be ready, and dinner will not be prepared. In fact, the lack of hands-on service will feel less like a luxury vacation and more like home. Or, if you’re accustomed to hands-on service at home, it’ll feel even less than home. The fact is, luxury villa concierge services are nothing like the attentive service you’d receive in a luxury 5-star resort. This is because concierge services are not pro-active but re-active. Generally, they operate out of a small, dingy office in the center of town that is filled with dirty vacuum cleaners, cleaning supplies, and crates of cheap giveaways that bear no resemble to the level of quality that luxury travellers are accustomed to. Similarly, concierges are not trained, refined hotel professionals, but rather are under-qualified amateurs who were more likely bike messengers in the past than concierges at the local Ritz-Carlton. In short, these concierge services cannot give you the level of service that they promise. Sadly, there are few concierge services for luxury villas that you can rely on to give you that personalized touch that you are looking for. Be sure to avoid luxury villa rental agencies that use third party concierge services, or ones that offers few details on the kinds of services that are included in their rental fees. Many of these luxury villa rental companies throw around the word “concierge” to enhance their company profile, when in fact that they little to offer. Instead, look for luxury villa rental companies that have their own in-house concierge services and state exactly what it is they offer. What you’ll want are concrete details, such as a full-time butler, welcome champagne and a buffet when you arrive at your villa, daily reliable housekeeping services, chefs, and more. In addition, only a concierge service that invests its own resources into the villas that it rents out can really offer you a hotel-like experience. Look for luxury villa rental companies that spend tens of thousands of dollars worth of luxury goods and service personnel to take a luxury villa into a private luxury hotel experience and that don’t “nickel and dime” you over every detail. Don’t settle for less. Do your homework and know for sure you’re getting top-notch concierge services before you make a decision. 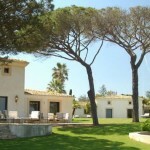 You are currently browsing the Luxury Home Rentals in Miami, Aspen & St. Tropez – Villazzo blog archives for April, 2010.